If there is one thing that Australia is renowned for, it’s the beaches. 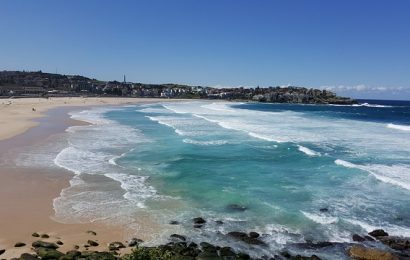 From beautiful Bondi Beach to the entirety of the Gold Coast shore line, of which the stunning views you can see here. The azure sea stretch on for miles. What is usually underappreciated, however, is the coast of Western Australia. Popular with Poms who emigrate across the world, Western Australia is a treasure trove of coastline and sandy shores. 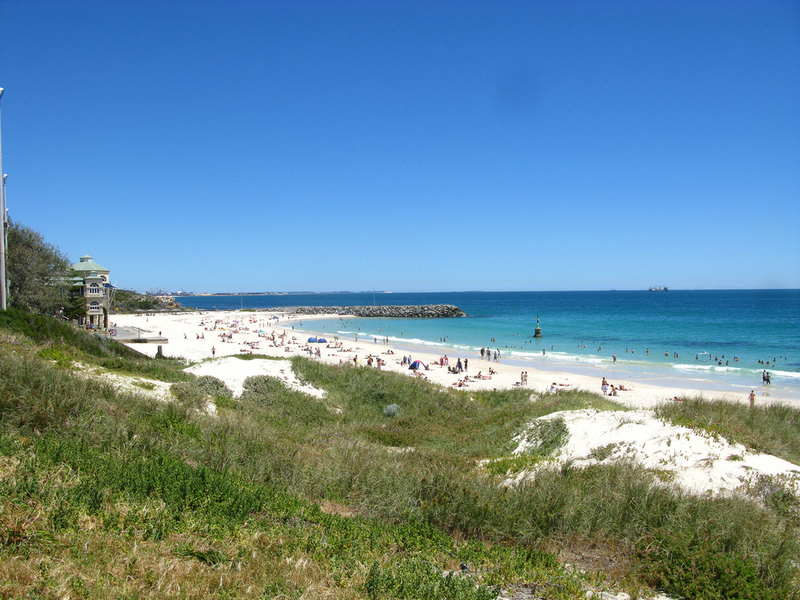 In Perth in particular, there are eighty kilometres of soft sand basked in sunshine. 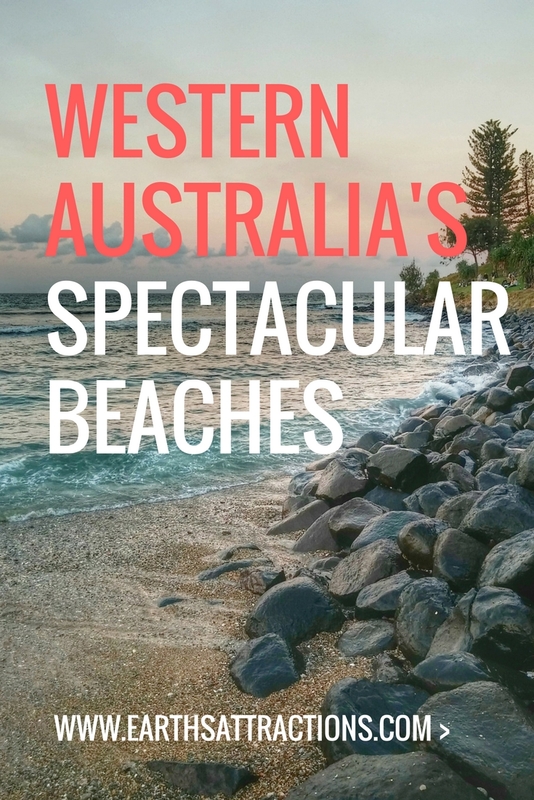 You cannot miss the beaches when you go to Perth and if you are visiting on a gap year, taking the family for a break away or taking a solo holiday to the West Coast, you are in for a beach treat. It’s a popular ritual in Perth, visiting the beach first thing in the morning for a leisurely swim in the already warm waters. Soaking up the sun on the beach is one thing but it’s quite another to take a coastal walk and just enjoy the breeze. 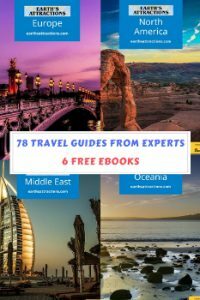 When you visit a country to enjoy the culture and the beaches, you need to know the best places to visit and why. 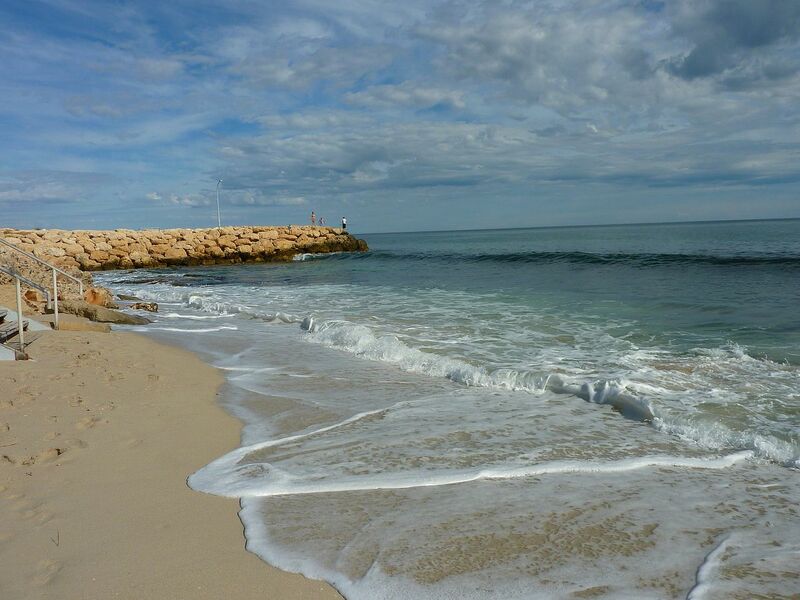 A beauty of a beach in Perth, you’ll find pale, soft sand and water so clear you can watch the fish dance among your toes. Walk in a little further, you’ll still see your feet it’s so clear. The azure waters lap the beach and it’s a hugely popular beach with both locals and tourists. With a grassy verge backing the sand, it’s an area that beckons all sun worshippers and this busy beach doesn’t disappoint. If you want to catch the eye of a little wildlife, wander on down at sunset as the noisy parrots line the shores at sunset. All swimmers should be aware of the flags and swim between them just in case of a rare undertow. 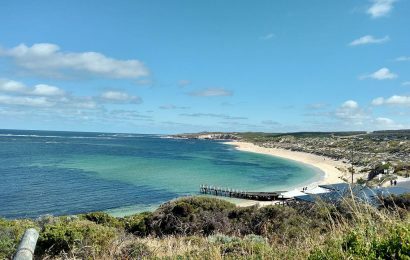 Bring a picnic to this beautiful part of Western Australia and join the many kite surfers who make their way over to this beach. Leighton’s beaches are a straight one and are very long so you can bet that you can find a quiet patch of sand to call your own. It’s a dog-friendly beach so bring your pooch along to splash in the shallow waters with you. Cafes and accommodation line the nearby beach and it makes a great beach day out for all the family. For those adventurers out there looking to snorkel, this is the best place to go along Perth’s fantastic coastline. Think about the octopuses, starfish, sea fans and fish and go under the water, enjoy the silence and be in your own mind as you marvel at the life under the sea. It’s a wheelchair access beach which is great but stay away from here when there’s a large swell. Strong undertows develop when the swell is big and that wouldn’t be a good way for a family to spend the day! Joondalup is the northern part of Perth and is the site of a fantastic Surf Life Saving Club. Huge waves crash against the shore and there are many brilliant places to build spectacular sandcastles! The magnificent Sunset Coast doesn’t disappoint with the sugary sands of Sorrento beach. Stay at the amazing local accommodation Hillarys harbour has to offer and you’ll be enjoying your holiday in style. When you want to see white sand and blue seas, this is where you need to be. A placid lagoon filled with water that is clear as glass. There is a surrounding reef that protects the beach and this part of the beach is rip-free – always good for those who aren’t sure of the waters. A short drive away is a beautifully historic pub in place of the usual cafes. A pint in the sun, anyone? A photographer’s paradise, Greens Pool is perfect for those who love a view. Take a drive nine miles from the town of Denmark and pick your way through the huge trees to find this natural pool. Massive granite boulders sit in the powdered sand just waiting to be touched. Go on a hike with the family along part of the long, 620-mile Bibbulmun Track. You can learn more about the track by clicking here. A beautiful sight to see when you visit Western Australia and not one to be missed. Beaches are one thing to see in Perth but the wildlife is quite another and Lucky Bay has resident kangaroos that happily laze on the gorgeous white sand. There’s a camping ground perfect for tourists and barbecue sites that are free to use. The bay is impossibly white and scientifically proven as the whitest in Australia, so bring your sunglasses! Rottnest Island is the favourite holiday island in Western Australia and The Basin is a natural sand-bottomed swimming hole. 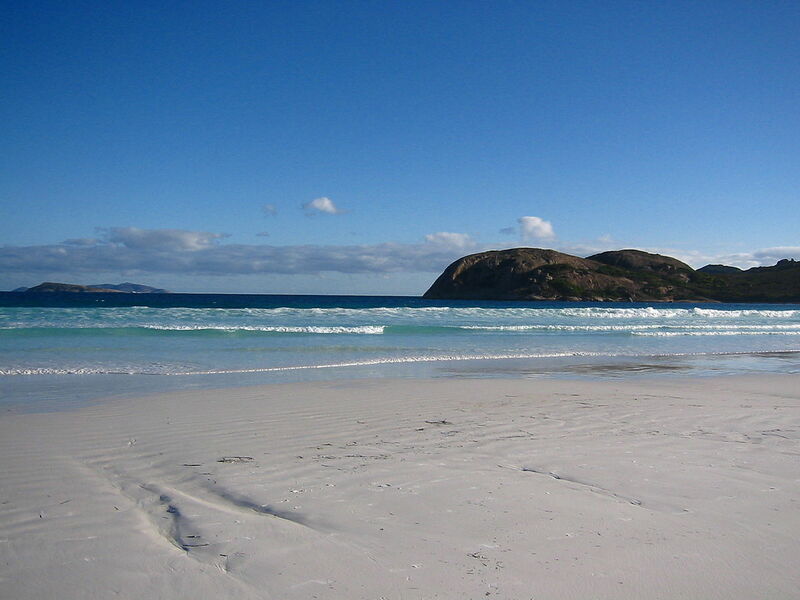 It’s located a few miles off the Perth coastline and is a relatively small beach. Luckily, it’s size doesn’t take away from its beauty and the beach has freshwater showers to be enjoyed. The whole area is shallow so you won’t ever have an issue with losing your footing. All of the beaches in Perth and off the Western Australia coast feel like seemingly unending stretches of paradise. 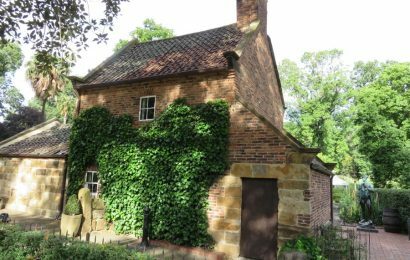 You can find quirky little cafes, accommodation for both adults-only looking for a break to rediscover each other and families with children who want to explore. There are pools hidden in the dunes and grass and marine life that is able to be observed. A delight for snorkelers and swimmers, the ocean always seems to be just at the right temperature and the sunsets never stop being breathtaking. There are many fine things to see and do in Western Australia, but travelling to simply see the beaches alone is worth it. Even if you aren’t the biggest fan of the heat, cooling off among crystal clear waves is just amazing enough to enjoy a little warmth. Make time to see the beaches – they’re a once in a lifetime vision. page, and paragraph is genuinely fruitful designed for me, keep up posting such articles or reviews. issues to enhance my site!I suppose its adequate to use some of your ideas!! Hey Liliana! Thank you for posting such a beautiful blog, I have visited Cottesloe Beach it was truly amazing, I was feeling like i am in heaven.